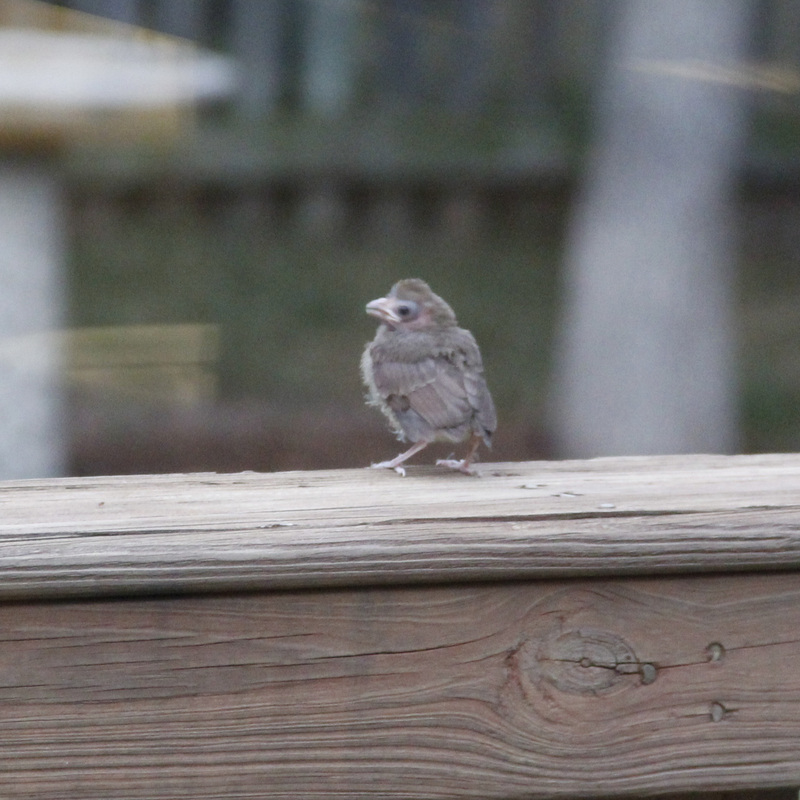 We had a little drama the other night – the Momma Cardinal was teaching this little guy to fly and he got stranded on our deck for a few minutes. There wasn’t much time to swing the camera up and click away. He sensed us enough through the glass to turn sideways and glare at us. Momma came back a few minutes later, coaxed him to fly under the maple tree, up onto the fence, then back into the tree. Word for tomorrow – DECAY. If you prefer to work ahead, see the list for the week under “A Word A Day”. To see how others might interpret today’s randomly selected word, check out other challenge participants in the box at the right. For more information on participating in the challenge, click the tab marked “challenge invitation”. I think you’re right – after all, to them that bird feeder is their whole world. Thanks for stopping by! the bird was very funny, but definitely hard to catch. What a precious little gray fluff ball. Learning to fly must be tough. But the little birdie will never have to learn to tie shoelaces. That is true! Tying shoelaces are a tough skill for a small child.